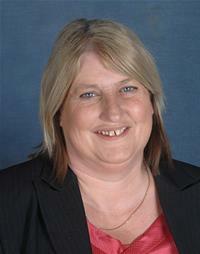 Marion Ayling was first elected to the Council in 2008. She was born in Crawley and went to Hazelwick school before working as a credit control clerk until she had her children. Marion has six children, three now adults and three of school age. Marion now works at Bewbush Primary School where she holds the positions of mid-meal supervisor, breakfast club supervisor and teaching assistant for children with special needs. Outside of work and family Marion runs the gardening club and is a member of the P.T.A at Bewbush Primary School and is also the chair and treasurer of Bewbush Labour Party. Marion’s interests include gardening, knitting and cross-stitching.